Root canal preparation not only removes degenerated pulp but also gives the canal a proper shape. Recent advances in instrumentation have led to the need to evaluate the outcome of different types of endodontic instrumentation on the quality of root canal treatment. 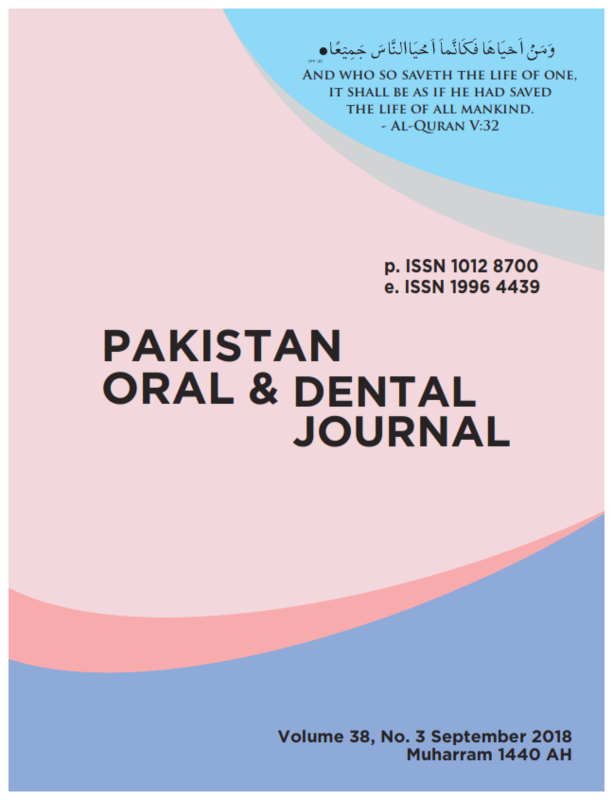 The objective of this study was to compare the quality of root canal obturation by intraoral periapical radiographs in single rooted teeth prepared by manual technique versus rotary method. This study was a randomized control trial conducted at Rawal Institute of Health Sciences for a period of 3 months (from 1st Dec, 2017 to 1st March, 2018). A total of 60 single rooted teeth (incisors, canines, premolars) were randomly divided into two groups (n=30). For Group 1, instrumentation was done using rotary system and for Group 2, manual technique was used. Post obturation radiographs were compared using T-score in terms of difference in length, density and taper of root canal filling. Statistical results were obtained using SPSS version 17.0. Chi-square test was applied to assess the difference between the length, homogeneity and taper of the root canal filling between the two groups. Our study found significant difference in obturation quality between the two interventions (p-value, 0.025). In rotary group, 86.7% patients achieved T-score of 2 and 3 compared to 53.3% in the manual group. Taper and the overall obturation quality done by rotary method was better as compared to conventional technique. However, radiographic technical quality of the root canal obturation in terms of length and density was almost same in rotary and manual instrumentation technique.